Node.js has come at the nick of time making it as a perfect technology partner and in-turn a boon for software architects to find innovation in design as well as ideal development process. Our expert team of Node.js development services is well adept in providing and upscaling the feature requirements as per your business needs. Our aim is to focus on quality and deliver accomplished digital products to different industry verticals. We are a well-known Node.js development service provider delivering industry best software application and related solutions with our immaculate and modular web services. 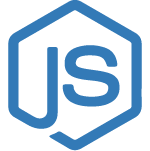 Being a prominent leader in Node.js development services, we cater the business needs of our clients in the following service aspects of Node.js. At Moon Technolabs, we know how to fulfill your business requirements and how to extract those solutions from Node.js. Hence, our company acts as a key communication channel between you and Node.js developed products and/or services. Our developers can deliver in different aspects of resources to help you get the optimum Node.js features for your mobile apps. Moreover, we have resources to not only adhere to develop highly event driven applications but also including heavily I/O bound with their functional characteristics. Offering excellent command building solutions can help you get applications ready to handle a large number of connections and network to various systems. with End-to-End Node.js development services. Our Node.js team of developers uses latest tools and technologies and moreover, technologies involved in Node.js is extremely powerful and robust in carrying dynamic and large database related applications puts on another feather in the cap. We craft our esoteric logical approach pertaining to the customized & personalized need requested by our valuable clients. Keeping top-notch quality parameters for years has turned into a habit now and hence, we absolutely like to lend our ears to shape your business plan/idea into reality apps that offer exceedingly well usability and great potential for your business processes. You can expect fully integrated and innovative Node.js development proposals from Moon Technolabs. Our attention is to encapsulate on the various & feature-rich Node.js platform to exponentially expand your presence to global targeted market and respective industry audience.